ASG President Emily Ash and Sid Ahuja speak at ASG Senate. The Improve NU competition will be held for its second year on Feb. 24 in Kresge Hall and the Block Museum. Associated Student Government will hold its second annual Improve NU competition — newly divided into five categories — in February, ASG announced in a Jan. 31 press release. Introduced in 2018, the competition allows teams of up to four students to pitch and implement ideas that will “improve the undergraduate student experience at NU,” the release said. Sid Ahuja, ASG vice president of student activities and resources said ASG has made recent additions to the competition, which is only in its second year. One change is the addition of five categories to organize the pitches, the McCormick junior said. The categories are divided into Wellness, Academics, Campus Life, Diversity & Inclusion/Affordability and General (Other). Ahuja added that students can apply with any idea and they don’t have to fit in a category. “The goal is that we have targeted categories and we can invite administrators who have background and expertise in those categories, and that way when the ideas eventually do win, they have contacts and relationships,” Ahuja said. After the deadline for submissions closes on Feb. 15, ideas will be selected to move onto the semi-final round, Ahuja said. Student teams with those ideas will have the week to “meet with administrators, to add details to their ideas and focus on capability and implementation,” he added. Both the semi-final and final round with take place on Feb. 24 in Kresge Hall and the Block Museum, respectively. The semi-final and final rounds will be judged by around 35 University administrators who are experts in each category, the release said. The final round, which two finalists from each category will compete in, will include senior NU administrators such as Vice President of Student Affairs Patricia Telles-Irvin, Dean of Students Todd Adams and Associate Provost Jabbar Bennett who will select three overall winners. Winning project teams will receive cash prizes of $750, $500 and $250 from the Office of the President for first, second and third place. Each winning team will also receive supplemental University funding to implement the proposed projects. For the three winning projects, the Division of Student Affairs, the Office of the President and The Garage will provide $11,000 split among the winning teams to carry out the ideas, the release said. Another new addition to the competition is that the final judging round will be open to the NU community to watch. The final round will be held in the Block Museum. 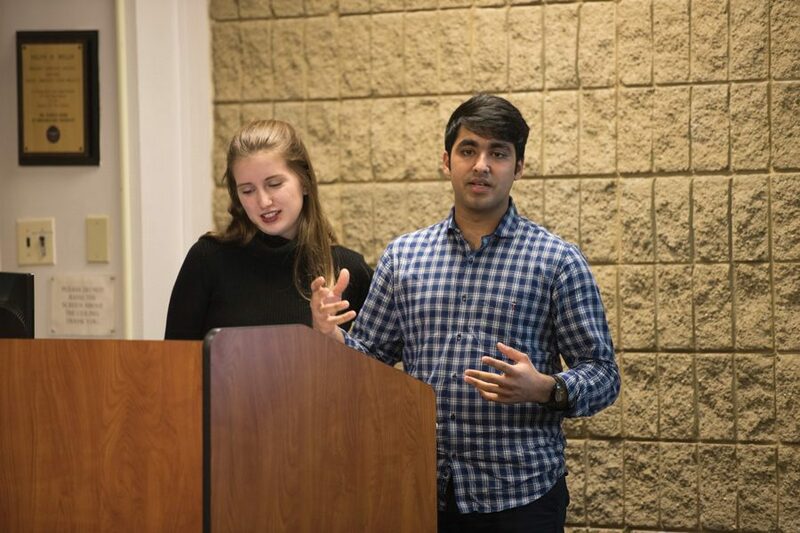 “Anyone can come watch to support their peers, but also to see what sort of ideas people want to implement to change the campus for the better,” Ahuja said. He added that previous winners are already working with administration on projects. Resilient NU, formerly known as The Ad Meliora Initiative, won first place last year and now works with University staff to form quarterly cohorts that discuss students’ social and emotional wellness. Ahuja added that he’s excited to continue the competition for the second year with the new addition of categories and faculty judges.